As the last glove factory in New York City's Garment Center, Wing & Weft Gloves' mission is to preserve and nurture craftsmanship in New York City. We are proud to have produced gloves for the Theatre, Film and Fashion communities for half a century. Every glove we make sustains our legacy. Specialty resources like ours should remain to continue to support and advance future creation in NYC and across the nation. We aim to champion causes who share our values of education and sustainability across all platforms. Wing & Weft makes contributions to the following organizations. This non-profit supports factories, suppliers, and designers through education and advocacy. They are ambassadors to all programs that support and create awareness for our members. There is no other Garment Center in the world like ours. The Garment Center is the soul of Midtown Manhattan, and the backbone of the NYC fashion industry. 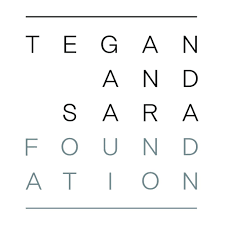 The Tegan and Sara Foundation fights for health, economic justice and representation for LGBTQ girls and women. This mission is founded on a commitment to feminism and racial, social and gender justice. In partnership and solidarity with other organizations fighting for LGBTQ and women's rights, the Foundation raises awareness and funds to address the inequalities currently preventing LGBTQ girls and women from reaching their full potential. Nightgowns is a world-renowned theatrical drag showcase dedicated to celebrating exceptional drag performers of all backgrounds. Known as the "drag artist's drag show," Nightgowns is an inclusive creative platform that provides drag queens, drag kings, AFAB, trans and gender nonconforming drag performers a stage to create the show of their dreams, giving audiences a fresh, personal, and truly queer night of theater.